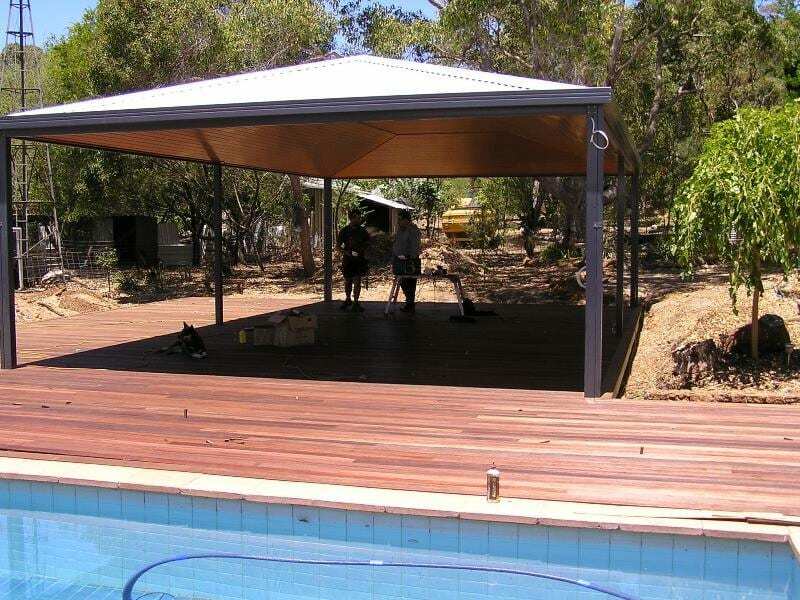 The easiest way to build your new Composite Decking Perth Patio is to contact One Stop Patio Shop. We have the qualifications, manpower, tools and ability to complete your outdoor renovation to your highest level of satisfaction. One Stop provides long-term solutions that will benefit you and your family and increase the worth your home. 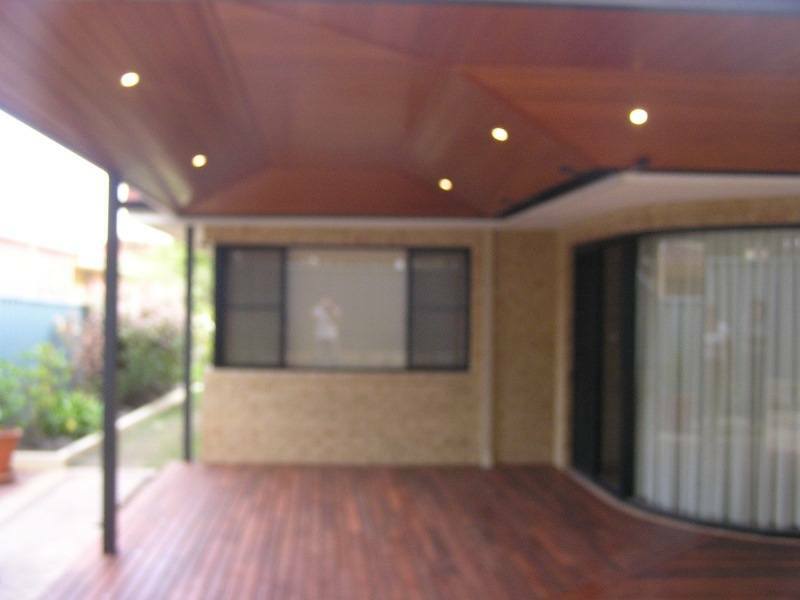 There are many elements involved in completing your Perth timber decking. We work exclusively with our clients to ensure the end results meet all expectations. Our capable team of carpenters can build you a custom deck to complement your outdoor entertaining area that will last for many years. 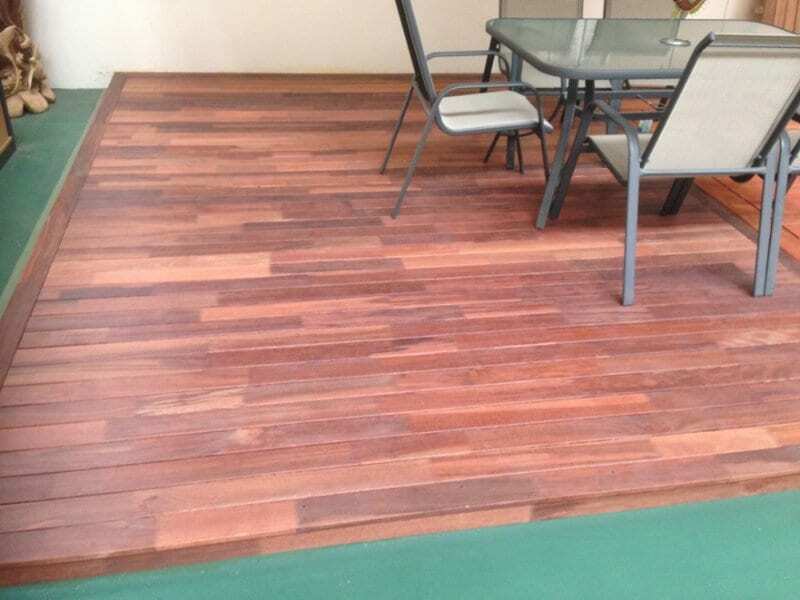 One important feature to consider when installing timber decking is to select the right decking for your purposes. 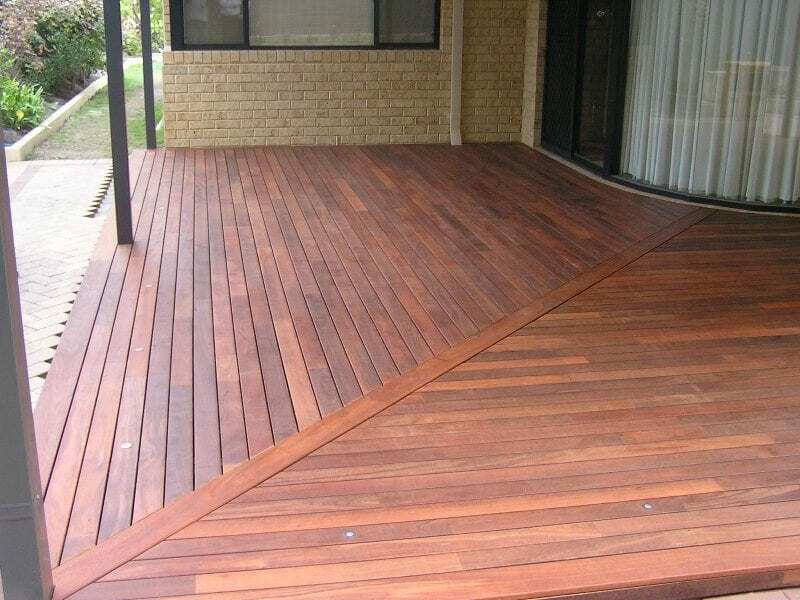 There are two types of decking to choose from, including Timber Decking and Composite Decking. While there are various qualities of timber decking in the marketplace, we only uses trusted brands. To create a high standard of quality and durability, decking must be sawn then kiln-dried by competent milling operations. Poor milling and drying will result in poor timber performance, especially in the dry West Australian climate. 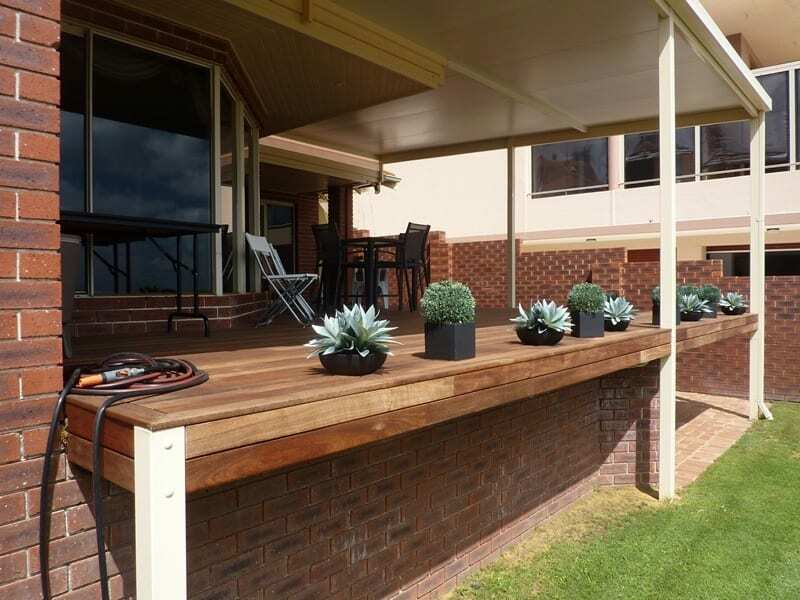 One to three months prior to delivery, Best deck brand of decking is exposed to WA climate conditions in order to test its strength and durability. To help stabilise your timber decking it is highly recommended to have it pre-oiled with Glosswood penetrating oil on all four sides prior to installation. 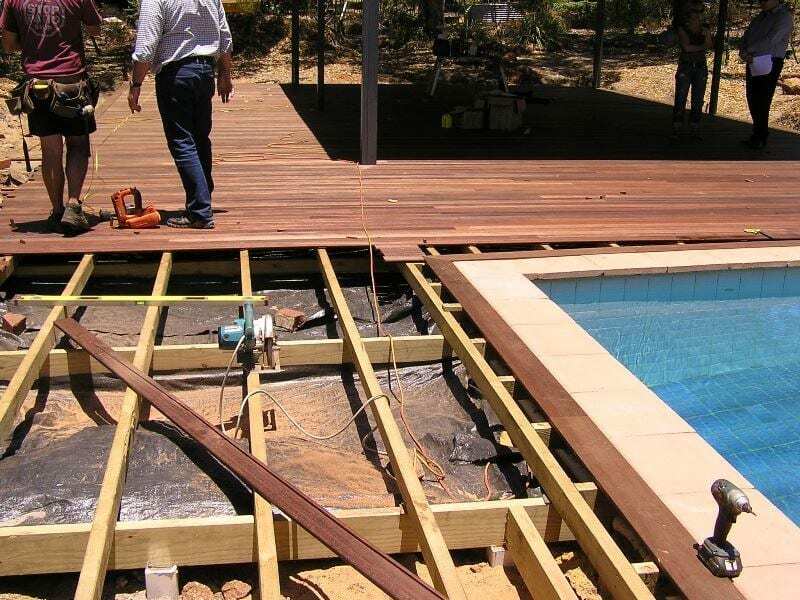 If the decking is installed with no pre-coating of oil, the face that is connected to the joist will not be protected. This will lead to deterioration due to moisture absorption, warping, cupping and twisting, and your boards will one day need replacing. One Stop Patio Shop recommends using only high quality Bostick ultra set flexible timber adhesive to secure your deck. This product acts as a barrier for water getting in between the underside of the deck and the top of the joist. By preventing moisture in these surfaces you minimise the risk of cupping which will distort the wooden planks. We recommend superior 304-grade hardened stainless steel screws to affix your decking. Screw length is also important as at least 45-50mm of thread is needed to be embedded into the joist. 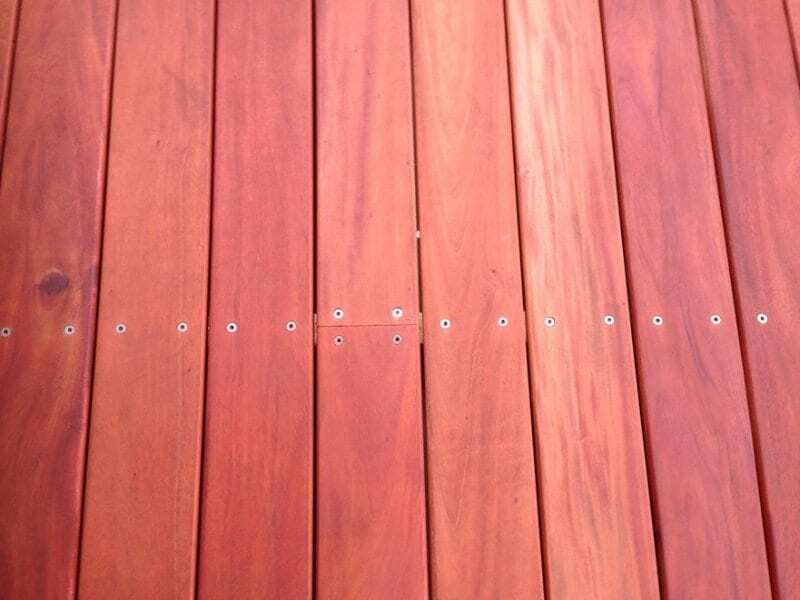 Our two methods of fixing the timber decking include, stainless steel screws as a design feature. Otherwise, we use secret fix clip system, which allows cleaning and clearing of the boards without the appearance of screws. This high attention to detail is standard practice when it comes to choosing products and the method of installation, so don’t just rely on price to make your decision. 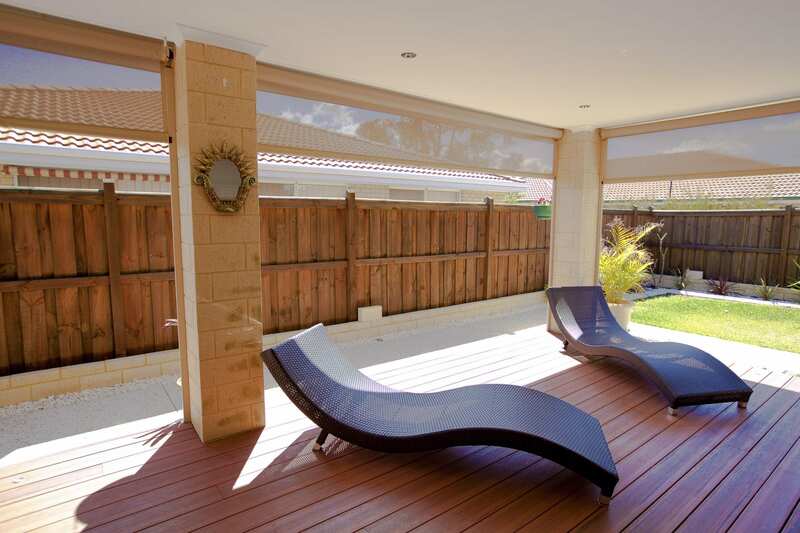 One Stop Patio Shop can provide a stunning result and superior finish that you can enjoy for many years. 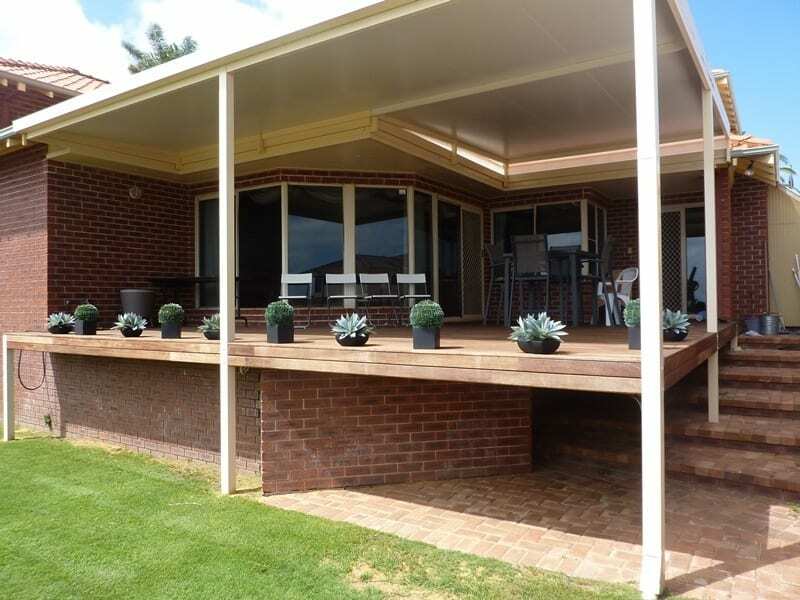 Composite decking is an affordable alternative to solid timber. 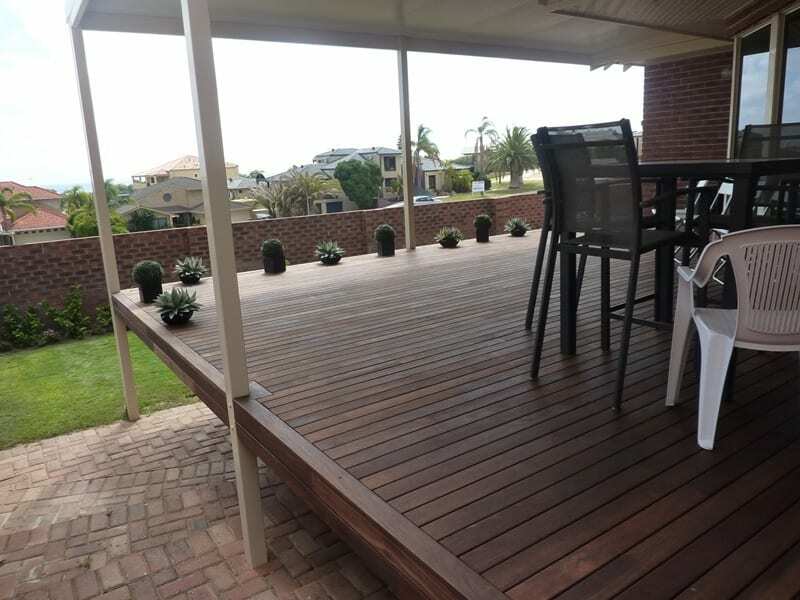 Trex manufactures our composite decking perth products and invented a wood-alternative composite decking that is almost 20 years old. One Stop Patio Shop is committed to helping customers create low-maintenance backyard retreats using environmentally sustainable elements. We prefer to enjoy the outdoors rather than deplete its resources. Weekends are for relaxing on your deck, not spending time making repairs so we’ve thrown ‘high performance’ into the mix of materials used. The ultimate in outdoor decking, our choice of composite is coated in a hard-wearing finish that will retain its appeal for much longer than standard finishes.